Do you have a Dell All-in-One printer? Want to save money by buying our affordable Dell replacement cartridges and use the funds at the end of the year to tack on a few extra days to your next family vacation? Call inkjetsclub.co.uk today and let our customer care specialists help you start your journey to saving hundreds on ink—our average household of four saves £450 a year! Finding cheap Dell toner prices on cartridges to work with your laser printer can be daunting if you don’t know where to look, or what it is that even justifies a good bargain on toner. First things first, the quality must be top-rate, and the price a no-brainer. I think we can agree that saving 10 percent is about as thrilling as a slight shift in a gentle breeze. At inkjetsclub.co.uk we run our replacement Dell toner cartridges through a strict quality control process via eight stages. First, we take the cartridge apart and use special equipment to clean the shell. Then we replace old parts with new ones, use computer-operated precision filling technology to add high quality toner and we balance each cartridge to distribute the toner at the right speed with the correct amount to work with its respected printer. Before it is given a full warranty our quality control officer performs three industry-standard print tests to make sure the cartridge is on par with OEM standards. The quality is clearly there; now for price: We bundle combo packs of toner for Dell printers to give our customers amazing deals. Do you have a color laser printer? 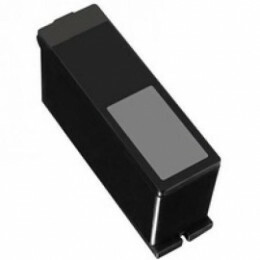 If so we take our replacement Dell 331-0777 toner (black), and add the Dell 1250, Dell 1350, and Dell 1355 toner cartridges to create a custom 5 Multipack Dell 593-11140-43 BK/C/M/Y High Quality Remanufactured Laser Toners that would retail at big box stores for just under £110. Our cheap Dell toner prices reflect a different outcome: our replacement cartridges in this combo cost around £56! That’s a savings of more than 70 percent! What is the Best Price on Dell Ink Cartridges and Toner? The best price on Dell ink cartridges and toner resides within a company that offers high quality cartridges for the lowest prices. Although you will find OEM Dell cartridges at licensed stores, you won’t find a good deal because the price tag is suggested retail. On the flip side you might find replacement Dell cartridges for sale by private sellers on large marketplace websites that are priced so cheap that it seems too good to be true, and in fact it is because you fail to get a good deal due to the poor printing quality. 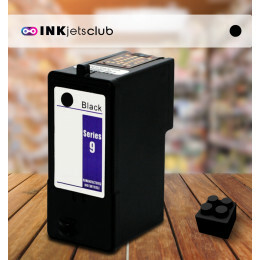 At inkjetsclub.co.uk you can find the absolute best deals on cheap Dell ink cartridge replacements because our high quality is backed by a full one-year warranty, and we ensure the lowest prices on inkjets with such superior integrity. For example, our Dell 592-11295 Black, High Yield Remanufactured Ink Cartridge replacement sells for 70 percent off the big brand price tag! 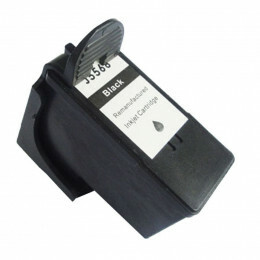 Most of our customers who buy ink cartridges for Dell printers purchase these, and they rave about the quality and value! See the difference for yourself! Order today and save money while enjoying high-quality printing from your home or office!